Out of the 1021 subscribers, mostly from various RWAs, so far only 502 are visible as rest have not yet confirmed their free subscription. Please confirm immediately & enjoy the free news letter regularly everyday, directly into your mail box. Plz feel free to comment as well mail us your valued news / press releases / pics / vids etc. for regular updates. Anything for & related to RWAs can be uploaded here. A Blood donation camp is being organised at Monga Medical Centre, on Sunday, 1st july, 9am to 2pm. Please donate blood to save someone's life. New Delhi: The government has taken a stern view of municipal officials skipping chief minister Sheila Dikshit’s Bhagidari meet last Sunday. Sources in the three corporations said chief secretary PK Tripathi issued show-cause notices to the commissioner and the deputy commissioner of North Delhi Municipal Corporation on Thursday. “Since senior officials like the commissioner and the additional commissioners didn’t attend the meeting, even the deputy commissioners have been issued notices. The strict action is a sign of the government’s seriousness in the run-up to next year’s elections,” said a BJP councillor who did not wish to be named. More than 3,500 residents’ welfare associations have been participating in the eight-day event held at from June 26. The meets have been organized to discuss civic problems. “Important issues like sanitation, road repair and parking were discussed in the meeting. The RWA members were asked to point out their local problems and then a form was given to submit complaints in writing. Some officials weren’t present for the meeting,” said BS Vohra, president, East Delhi RWA Joint Forum. Officials who have been served this notice, however, deny the allegations. “I don’t know why they have issued a show-cause notice against me when I was present. The RWAs’ grievances have been collected in writing and we are resolving them,” said Kuldeep Yadav, Narela zone deputy commissioner, North Delhi Municipal Corporation. However, RWA members said the officials’ participation in the meets has been minimal as the opposition BJP controls all three corporations. Delhi Chief Minister Sheila Dikshiton Friday ruled out any roll-back in the power tariff hike announced on Wednesday. Even as protests raged across the city, Dikshit said the tariff hike would not be rolled back. Her latest stand was in sharp contrast to her views on Wednesday when she had hinted that a subsidy for poor consumers was likely. Dikshit's refusal on tariff hike roll-back came amidst BJP's city-wide protests and demonstrations. The main opposition party hit the streets to protest the steep hike and demanded immediate roll-back. With thanks : India Today : LINK for detailed news. Its really shocking that Power Tariff has been revised upwards by DERC, by 24.15%. Just 11 months ago in August 2011, it was raised by 22%. After that DERC added 5% on the name of Fuel surcharge & later raised it by another 2%. Though the said Fuel surcharge of 7% has been removed, it has added Power Purchase Cost Adjustment surcharge of 8%. Therefore we can say now that since August 2011, Power Tariff is up by 22% + 24% = 46%. In addition, 8% PPCAS of 8% will be charged on the total bill. Though BJP has promised massive protests from 29th of this month & congress spokesperson Mr Jatinder Kochar has assured that the matter will be raised in the DPCC meeting tomorrow with Mr J P Agarwal, a lolypop of a few percentages can be expected in a day or two. Electricity will cost more in Delhi from July one with power regulator DERC today raising domestic tariff by 24.15 per cent for the year 2012-13. The Delhi Electricity Regulatory Commission (DERC) Chairman P D Sudhakar said the average hike is 20.87 per cent in all categories and domestic tarrif has been hiked by 24.15 per cent. The regulator had in August last year hiked the tariff by 22 per cent hike for all categories of consumers. The tariff was hiked by five per cent in February and by upto two per cent in May this year to adjust the power purchase cost of the distribution companies. All the three power distribution companies, BSES Rajdhani Power Ltd, BSES Yamuna Power Ltd and Tata Power Delhi Distribution Ltd have been pushing for a hefty hike citing their "severe" finacial condition. with thanks : Indian Express : LINK for detailed news. Delhi Jal Board officials say for every one litre of water purified, at least four to five litres of water is wasted by reverse osmosis water-treatment equipment. New Delhi: The Delhi Jal Board (DJB) has drawn attention to the wastage of water by reverse osmosis (RO) water-treatment equipment, used by lakhs of households. The DJB has written to industrial bodies in the Capital, holding its first meeting in this regard on Tuesday with the CII. For every one litre of water purified, at least four - five litres of water goes waste in ROs, DJB officials said. Why we view others to solve our very basic problems ? The DJB signed the agreement with Singapore Cooperation Enterprise (SCE), a Singapore government agency to share its development expertise with other countries, and Temasek Foundation, Singapore (TF), a Singaporean philanthropic organisation, to share Singapore's experience in planning and design of recycle and reuse of treated sewage/wastewater and delivery of such projects on a public private partnership (PPP) basis for Delhi. Is there any comparison between India & Singapore as India is much bigger in Size as well Population ? INDIA being said to be a Super Power in the coming decades, can't even manage it's sewers & it has to go to Singapore by paying a hefty sum to get the technology. Don't you think we have enough expertise available in India ? Delhiites may soon see a major hike in their electricity bills. The Chief Minister of the National Capital, Ms Shiela Dikshit, said on Monday that power distribution companies would soon revise the electricity tariff. The three private distribution companies - Tata Delhi Power, BSES Rajdhani and BSES Yamuna – have sought a tariff hike of 18 per cent, 20 per cent and 27 per cent, respectively. 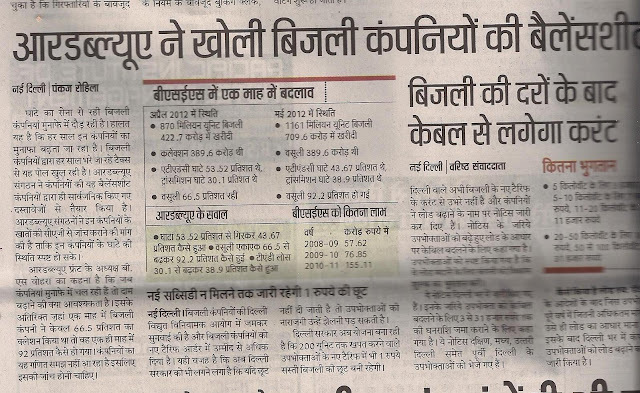 Last year, the Delhi Electricity Regulatory Commission (DERC) had allowed the companies to raise tariff by 22 per cent. However, the tariff increase allowed last year was not enough to cover the gap of Rs 6,000 crore spent by the three distribution utilities. They could cover only Rs 1,200 crore in the first year and the remaining Rs 4,800 crore was to be collected over next three years. The private discoms have now demanded a hike excluding last year’s losses. According to industry watchers, DERC may allow a tariff increase of around 20-22 per cent. Meanwhile, BSES Yamuna Power Ltd (BYPL) on Monday said it would invest Rs 16 crore to set up a 66/11 kV grid substation. “With an initial capacity of 50 mVa, which can be ramped up to 75 mVa, this grid sub-station will provide relief to over one lakh customers in areas such as Mayur Vihar Phase III,” it said in a statement. New Delhi, Jun 25: Indicating a substantial hike in power tariff, Delhi Chief Minister Sheila Dikshit today said power regulator DERC will have to take a realistic view of the situation while finalising the new rates. Delhi has been reeling under severe outages for last four days after state-run NHPC cut supply of 200 MW power to BSES for failing to pay up dues of over Rs 225 crore while another generation firm Damodar Valley Corporation has threatened to stop 280 MW supply to the discom if it did not make payment of around Rs 330 crore. “ We are waiting for the DERC to announce the (tariff) order. Everybody knows about the situation. I hope the decision of the regulatory body will be based on realistic view of the current situation,” Dikshit said when asked about the power situation in the city. The Delhi Electricity Regulatory Commission (DERC) is likely to announce the new power tariff in a day or two. with thanks : INDIA TV : LINK for detailed news. NEW DELHI: The new power tariff is expected early next month, and recent developments indicate that discoms are pushing for a steep hike in domestic tariff. The Reliance-backed BSES discoms were in the spotlight last week for defaulting in payments to at least three generating companies, and have stopped getting supply from one. Sources said all this has led the BSES discoms to pursue their case for a hike with the regulator. The timing is significant as the city's power demand is touching a new high almost every other day. 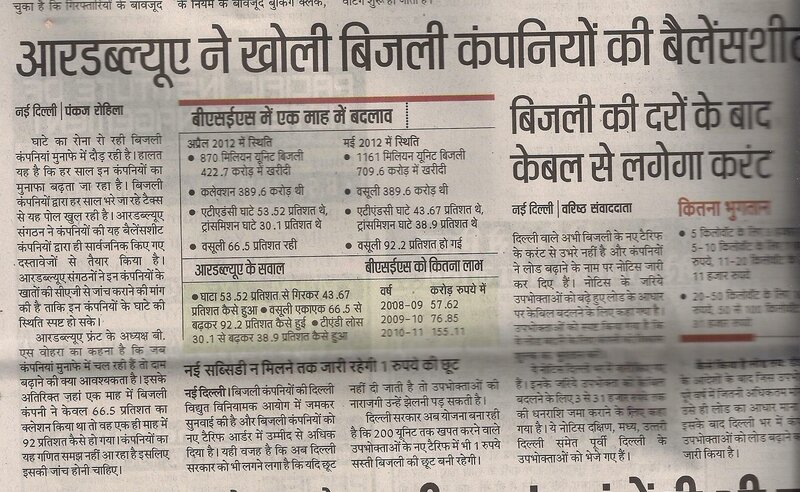 Delhi Electricity Regulatory Commission is also on the verge on announcing the tariff, making last-minute changes. The BSES discoms have put the blame for defaults squarely on "unrealistic tariff", which they say has plunged them into a financial crisis. A source said the discoms deserve the hike that they have been claiming for and that without it the city could face blackouts. with thanks : Times of India : LINK for detailed news. Mounting public anger over Delhi Jal Board’s colossal failure to re-haul the obsolete water distribution system, hamstrung by rusty leaking pipes and thefts, is fuelled by growing suspicion of a nexus between the concerned functionaries and private tankers. Many are now compelled to buy water at high cost to meet their needs. It is the same in Gurgaon, Faridabad and contiguous townships. If western Uttar Pradesh NCR towns are as yet not afflicted by the crisis, it is because of the forcible diversion of Ganga waters via canals, first built by the British, and then, expanded by their native successors. A massive pipe also carries such water from the controversial Tehri Dam to Delhi and UP-NCR. Hindon is exploited as well while Southern Haryana is solely dependent on Yamuna, local lakes and groundwater. But the latter two are fast disappearing as indiscriminate colonisation gains alarming momentum. Against this backdrop, for Haryana policy-makers to propose concretising the remnant of forest cover in the stretch of the Aravallis running through this arid state is criminal. Certainly, penal action would be warranted if this is allowed, in violation of the Forest Conservation Act, 1980, and Wildlife Protection Act, 1972. Proponents of the reckless scheme argue that the green cover is not large enough to qualify as a forest. But visionary administrators, in a region that suffers badly from paucity of green cover and water, should do their utmost to conserve whatever remains, rather than destroying it. Early experiences of enchanted forests, obtained vicariously through fairytales and Panchtantra, are realised on venturing into the breathtaking environs of Mangerbani in Faridabad district. Ishani Dutta’s film, The Sacred Forest, brings it alive, documenting its sanctity and immense relevance for the present, as much as the awaiting doom. One learns that the Who’s Who in the country have stakes, with fragmented land-holdings being sold by individual owners. An ancient sacred forest, protected by the local Gujjars for over five centuries, it is self-renewing as the inhabitants of nearby villages still obey their guru, Gadaria Baba’s directive, never to break a twig, or harm any living creature. It is as Mr RP Balwan, former Conservator of Forests, Gurgaon, says, the last Dhau forest in the state. Filmmaker and naturalist Pradeep Kishen has extensively identified rare species. The forest harbours itinerant leopards, hyenas, jackals, hares, deer, mongoose, reptiles, and a vast variety of birds. Conservationists consider it an irreplaceable biosphere. with thanks : The Pioneer : LINK for detailed news report. NEW DELHI: With the assembly polls due in 2013, the Sheila Dikshit government has decided to hold its largest-ever bhagidari workshop in the capital from June 26 to collect people's feedback on local governance and its deficiency. Over 3,500 residents welfare associations have been invited at the eight-day event to be held at Talkatora Stadium from June 26 to July 6. In the past few years, the government had held bhagidari — citizens' partnership in governance — workshops with barely a few hundred RWAs. The last workshop in July 2011 saw participation of around 600 RWAs. The Congress-led government, which is still recovering from the shocking results of the municipal polls in April, has asked Asian Centre for Organization Research and Development (ACORD), the agency preparing the feedback forms for the workshop, to frame questions that bring out people's expectations from the government and also its deficiencies, sources said. In a fresh move, Dikshit has asked at least one cabinet minister to attend the workshop everyday. The schedule, giving details of days and districts for each minister, has already been sent to them. The Congress MLAs have also been asked to go to the meet. The government has also added three more departments — education, social welfare and food and civil supplies — under the purview of the bhagidari policy adopted in 2002. Other authorities like Delhi Jal Board, MCD, PWD, NDMC, Delhi Police and transport, environment and revenue departments will continue to take part in it. The power supplier discoms will be part of the workshop. According to the ministers' schedule, the workshop for South and Southwest districts will be attended by Kiran Walia, East district by A K Walia, Northeast district by A S Lovely, Northwest district by Rajkumar Chauhan, West district by Ramakant Goswami, North, Central and New Delhi districts by Haroon Yusuf. But why the Power is getting expensive ? NEW DELHI: Friday signalled a double whammy of low power supply and high demand for the summer: from Thursday-Friday midnight, the National Hydro Power Corporation stopped supply to Reliance's BSES Rajdhani and BSES Yamuna discoms, allegedly for payment default, while the capital notched up its highest-ever power consumption of 5,330MW. There were power cuts across south Delhi and in parts of central and west Delhi. CM Sheila Dikshit assured the crisis would be sorted out soon. "Let's face it. Power is getting expensive and the only way to sort it out would be a tariff hike. We are waiting for the DERC order to implement it." "Whatever is the shortfall from DVC, we will meet through the Bawana plant," the chief minister said. "Thought this will be expensive, we will not let Delhi suffer." There were power cuts across most of south Delhi and in parts of central and west Delhi. A technical snag in Delhi Transco's 100 MVA transformer in Okhla led to widespread power cuts in Kalkaji, Kailash Colony, Alaknanda, CR Park, Greater Kailash I and Nehru Place among other areas. Panchsheel, Dwarka and Gulmohar Park too reported power cuts in the afternoon hours. "There was no electricity for close to two hours in the afternoon. The situation was similar on Thursday as well. The inverter could not support the air-conditioners and we had to sweat it out with just a ceiling fan," complained Anjana Kumar, a resident of Kalkaji. A Transco official said the sweltering heat triggered a technical snag that took a few hours to set right. On a day the Delhi Jal Board (DJB) continued to claim shortage at the Haiderpur treatment plant, readings by the Centre’s monitoring agency have established that Haryana is providing more water to Delhi than the rated capacity of both the Haiderpur and Wazirabad plants. A DJB official on Friday said the water level at the Haiderpur treatment plant remained low, resulting in a shortage of about 15 million gallons per day (MGD). On the other hand, the Upper Yamuna River Board (UYRB), the central agency entrusted with the task of monitoring the flow of water between the two states, has reported that Haryana is providing more water to Delhi than its due share. As per Central Water Commission (CWC) data, on Friday, Delhi received 213.5 MGD water at Haiderpur while the production was pegged at about 202 MGD, said a UYRB official. The Delhi Jal Board on Thursday hit back at the North Delhi Municipal Corporation which had claimed that nearly 50 per cent of water supplied in its area was contaminated and unfit for drinking. The Jal board questioned the methodology that the North Corporation adopted in conducting the tests, saying it didn’t collect the samples when water was being supplied, but took it from stored water. “With a network of more than 16,000 km of water pipeline, on an average 25 to 30 complaints related to local contamination issues are received per day, mainly from densely-populated and unplanned areas. DJB always takes up such complaints on priority and they are immediately referred to the Quality Control wing, which gets the samples lifted from the affected pockets and remedial actions are carried out further,” the DJB said. The DJB said the corporation “has not carried out joint sampling, in spite of repeated requests”. “DJB has a standard process for testing the quality of drinking water, and the water is tested for physico-chemical and bacteriological parameters. DJB carries out water sample tests by an independent unit headed by Director, Treatment and Quality Control (DTQC), the sample testing unit of DJB,” the statement said. Massive Power Cuts in East Delhi from 30th June ? As per PPA signed by BYPL with NTPC, BYPL is required to ensure availability of requisite value of Letter of Credit ( LC ),and shall ensure that LC will remain valid for all times during the entire validity of PPA and shall renew the same atleast 30 days before the expiry of its term, each time. However, BYPL has failed to maintain the LC for the requisite amount and to extend the validity of the LC for the period as per PPA, and therefore, NTPC shall have the right to regulate & sell BYPL's allocation of Power to the third party ( ies ), at the risk & cost of BYPL. NTPC has been following up with BYPL for renewal of the LC with validity upto 30.06.2012 failing which NTPC would be constrained to regulate the power supply in line with the provisions of the CERC Regulations on ' Regulation of Power supply 2010'. As a result there is a fear that once NTPC starts allocation of Power to third parties after 30.06.2012, Entire East Delhi will face massive Power cuts. We hereby request to the Delhi Govt. & DERC that, they must ensure, that East Delhi gets the proper supply regularly. Really I missed due to Society's compulsion, as I had to brief a lawyer re. the case coming up to day in RCS.Good round up. I would like to know discreetly what are the grievances he had posed before the Mayor. Hope you have since received a copy of the Memo. sent through mail yesterday. While you could retain one copy, for record, the other one, kindly take out one and send it to Mayor's attention. Can you e-mail address of the Mayor so that I could also send one direct. Thanks for all the onerous duties but highly appreciable and commendable one, you are performing. We too missed you, as well Mr Rajesh Aggarwal, who could not join us due to illhealth of his Sister in law in Bangalore. Inspite of our best efforts, we could not reach Mr Mukesh Ghumman, whose mobile was always out of reach. Anyhow, almost all the members were present in the meeting with Mayor that lasted almost 2 hours. All the RWAs spoke directly to the Mayor and submitted the request letter to her. Your letter will also be forwarded. At the Express Adda held in Mumbai last week, Sheila Dikshit, Chief Minister of Delhi, not only brought deep insight into big-city administration for Mumbai — perpetually troubled by traffic snarls and steep rentals — but also the challenges that India faces over the next 20 years. In a freewheeling conversation with Uday Shankar, CEO of Star India and Shekhar Gupta, Editor-in-Chief of The Express Group, presented by Reid & Taylor in association with Olive Bar & Kitchen, Dikshit candidly admitted that just some years ago, Delhiites dreamed that the national capital should be a city like Mumbai. Corporate India listened in awe as she recounted how she overcame her challenges. New Delhi has just completed 100 years and, out of those, I have lived there for 74. I have this identity, affinity and love for Delhi that very few have. I am not just the CM, I am passionately in love with Delhi. The 19th century of India belonged to Calcutta, the 20th to Bombay and the 21st belongs to Delhi. I am proud of the fact that the Delhi Metro has completed 192 km and, in the next three or four years, it will be 320 km, moving on towards Gurgaon and Noida. We have both the advantage and disadvantage of these satellite towns, it has taken a lot of burden off us but it has also put a lot of burden on us. I shudder to think what Delhi would have been if it did not have Noida or Gurgaon. with thanks : INDIAN EXPRESS : LINK for detailed news story. It is pity that the Delhi Govt. is playing in the hands of power companies. Old wires not being replaced. Load increased arbitrarily. Very poor repair service. No work is done without tips. Rampart corruption. Even Central Viggilance seems to be helpless. What will the common man do except revolting against the system? BADARPUR POWER 100% was meant for delhi and 80% power of dadri plants was for delhi.HOW MUCH WE ARE GETTING. RAJGHAT AND IP STATIONS HAVE BEEN SCRAPPED BUT DID WE PLAN ADDITIONAL GENERATION. EVEN BAWANA PLANT CONCEIVED IN EIGHTEES DID NOT COME UP. So we are dependent on foreign or neighbouring states including NTPC AND HYRO POWER AGENCIES. THIS COST ESCALATION IS DUE TO LACK OF ACTION ON THE PART OF GOVERNMENT AND HENCE GOVERNMENT MUST NOT ONLY BEAR ADDITIONAL BURDEN BUT ALSO ANSWER ABOVE POINTS. NEW DELHI: Get ready to pay more for the power you consume. Delhi's electricity regulator has confirmed that it would announce new power tariffs in the first half of July along with a new code spelling out penalties on distribution companies if they fail to deliver services on time. Sources said the tariff revision to be announced by Delhi Electricity Regulatory Commission could be more than last year's 22% hike. While north Delhi discom Tata Delhi Power has sought an 18% rise, BSES Rajdhani wants a hike of 20% and BSES Yamuna has asked for a 27% increase in consumer tariffs. BSES has not maintained its LC with NTPC. As a result, NTPC has threatened to cut the Power supply to BSES from 30th June and therefore, massive Power cuts are expected in East Delhi areas from that date. For a third time in last 10 months, the power tariffs in the national capital are set to burn a hole in consumer’s pocket again. The Delhi Electricity Regulatory Authority (DERC) chairman, P.D. Sudhakar, on Tuesday hinted of a power tariff hike from the first week of July. Citing the losses of the private power companies (discoms), Mr Sudhakar said that the demands made by the discoms are being reviewed and a result will be out by the end of the this month. “The BSES Yamuna has demanded the maximum hike of 27.8 per cent, BSES Rajdhani has demanded a hike of 19.8 per cent and Tata Power Limited (former NDPL) has sought a hike of 19.7 per cent in the power tariffs. These companies are suffering losses as the price of coal is going up and power purchase price is higher than the distribution price. Some of these companies has even taken loans to survive,” Mr Sudhakar said. He further said that the demands of these private power companies will be reviewed in this month and a new revised tariff plan may come out by July. A massive hike of 22 per cent was witnessed in the power tariffs in September 2011; and again in February 2012 a hike of five per cent was declared. The situation worsened as the private discoms sought bailout packages from the government claiming that they are facing huge losses due to the low distribution tariff and higher purchase price. East Delhi RWAs Joint Front ( A Federation of RWAs ), today met, Mayor MCD East Dr. Annapurna Mishra in her office in Udyog Sadan in Patparganj Industrial area & raised various civic issues of East Delhi. Mayor promised that she will personally look into it & resolve. Even though it was a working day, a good number of member RWAs reached the spot on time and we spent over two hours with the Mayor. We have been invited by the Mayor MCD East Dr Annapurna Mishra, tomorrow in her office. Those from East Delhi RWAs Joint Front, who can join us, are requested to confirm immediately by SMS or mail or a call. Plz make two copy's of your request / representation i.e. one for the Mayor and second for the RWABhagidari blog. The meet with MCD East Mayor has been postponed as she had some other important official programme. A fresh date will be intimated very soon. Inconvenience caused is regretted very much. East Delhi RWAs Joint Front ( A Federation of RWAs ) & it's member RWAs will meet MCD East Mayor Dr Annapurna Mishra on 17th June at 5 pm to raise the local issues of different areas of East Delhi. If you too wanna join us, please feel free to call us on cell number 9212004471. Shahdara RWA is organising a Malaria, Dengu Awareness Camp on 16th June, Sat, at 10 am at Prajapati Choupal, Doonger mohalla, Shahdara. Please attend. Reeling under huge losses, distribution companies in Delhi are looking for another rise of about 20 per cent in power rates in less than a year. There was a 21 per cent rise in rates in September last year, but despite the increase, discoms, BSES and North Delhi Power Ltd (NDPL), have accumulated losses of about Rs 11,000 crore in the last three years. Reliance group companies BSES Yamuna Power Ltd and BSES Rajdhani Power Ltd account for around 70 per cent of the power distribution in Delhi city. Private discoms were asking for a 50 per cent increase in rates due to increase in power purchase cost, among other factors. The September hike came after rates were last revised in 2009. “We are expecting a hike of 19-21 per cent in power rates in the next few months. We have asked DERC (Delhi Electricity Regulatory Commission) to look at all factors of cost. The tariffs have to be cost-reflective rise so that discoms stop bleeding,” BSES Rajdhani chief executive officer Gopal Saxena told Business Standard. with thanks : BUSINESS STANDARD : LINK for detailed news. Delhi cries ‘foul’, says Haryana has denied it water for second consecutive day. Haryana dismisses claim, says it supplied promised amount. As the water supply situation remained more or less the same on Thursday, the Delhi government has claimed that Haryana’s ‘foul’ act of curtailing water for the second consecutive day will result in a shortage of 30 million gallons per day (MGD) at the Wazirabad Treatment Plant (WTP) . The shortage is likely to affect supply to west, north, New Delhi and the Walled City areas on Friday. Haryana, on the other hand, has rubbished Delhi’s claim and said it supplied the necessary amount of water. The situation on Thursday — a day after the Delhi Jal Board (DJB) had cried hoarse over getting less water — was slightly better off compared to the previous two days, except for some colonies from west Delhi. “This is the second foul (play) by Haryana on waterfront after curtailment of water for Haiderpur plant resulting in short production of water by 15 MGD. In all, less production by 45 MGD in Delhi would leave most of people thirsty,” a government statement said. Haryana has claimed the pond at the Haidepur WTP that had a capacity of 425 cusecs got 425 cusecs of water. “The pond at Wazirabad with a capacity of 210 MGD was filled with 210 MGD,” said Harmail Singh, engineer-inchief, Haryana Irrigation. “These are entries from DJB’s log book, checked by our engineers, who went to both Haiderpur and Wazirabad,” he added. The areas likely to be affected are: Patel Nagar, Moti Nagar, Kirti Nagar, Narela, Bawana, Wazirabad, Transport Nagar localities, areas north of Raj Path and the old Delhi localities. East Delhi RWAs Joint Front ( A Federation of RWAs ) & it's member RWAs will meet MCD East Mayor Dr Annapurna Mishra on 17th June at 5 pm to raise the local issues of different areas of East Delhi. If you too wanna join us, please feel free to call us on cell number 9210463117. Samarpit NGO will organize a BLOOD & EYE DONATION CAMP on 17th june, 2012 at Dr Hedgewar Arogya Sansthan, near Karkardooma court, Delhi - 32. Timings 9.30 am to 2.30 pm. Knowledge on laws, schemes and policies related to child labour. The conference was followed by Questions from the audience and later on, a beautiful Play was performed by the students of various professional courses. Meet & discuss civic issues with Mayor MCD East ! Hon'ble Mayor. The same are enclosed with this mail. 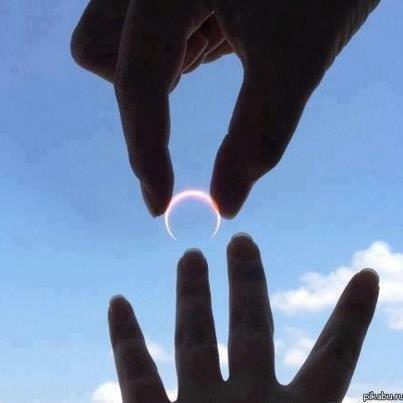 Please intimate us the venue of the meeting. I was out of touch for the last few days.